const LLString LAG_CRITICAL_IMAGE_NAME = "lag_status_critical.tga"
const LLString LAG_WARNING_IMAGE_NAME = "lag_status_warning.tga"
const LLString LAG_GOOD_IMAGE_NAME = "lag_status_good.tga"
Definition at line 47 of file llfloaterlagmeter.cpp. 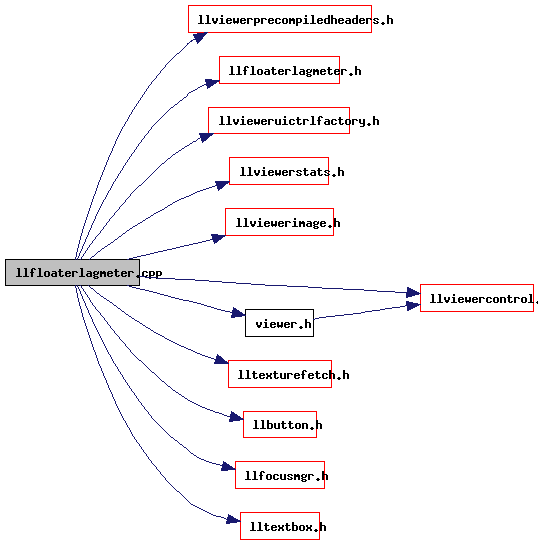 Referenced by LLFloaterLagMeter::determineClient(), LLFloaterLagMeter::determineNetwork(), and LLFloaterLagMeter::determineServer(). Definition at line 49 of file llfloaterlagmeter.cpp. Definition at line 48 of file llfloaterlagmeter.cpp.